Dr Bhupen Hazarika Samadhi Kshetra near Gauhati University at Jalukbari will soon have a museum in honour of the ‘Bard of Brahmaputra’. 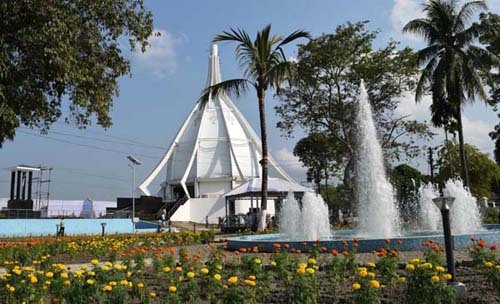 The memorial to Bhupen Hazarika said the museum was under construction and is expected to open in a couple of months, informed the officials. The memorial comprises of a dome that has a library and an auditorium. The garden alongside has a microphone-pen-shaped statue, and a life-size statue of Dr Hazarika. There is an eternal flame in the memory of Dr Hazarika, and officials said that to maintain the flame, Gauhati University contributes Rs 3,000 every month, and the fuel required for the flame is provided by the PWD, reports The Assam Tribune. The site is being maintained by the PWD Building Division. Officials said tourists from all over the country, especially West Bengal and the north-eastern states come to visit the site.